It's rare when a reference book can also be a guilty pleasure. 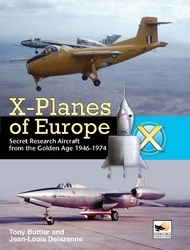 X-Planes of Europe has all the facts .. It is rare when a reference book such as this can also be such a guilty pleasure. It has all the fac..
Few subjects offer such exciting modelling prospects as aircraft used in development, test and resea.. In the decades following World War II, aviation designers around the world scrambled to bring new technologies to their aircraft as the jet era ushered in new possibilities and immense challenges. 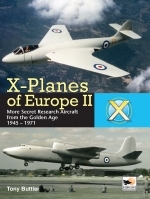 New wing shapes, control systems, engines and construction materials all had to be tested in the air and this required a fleet of so-called ‘X-planes’ – experimental aircraft designed to test new and untried concepts. 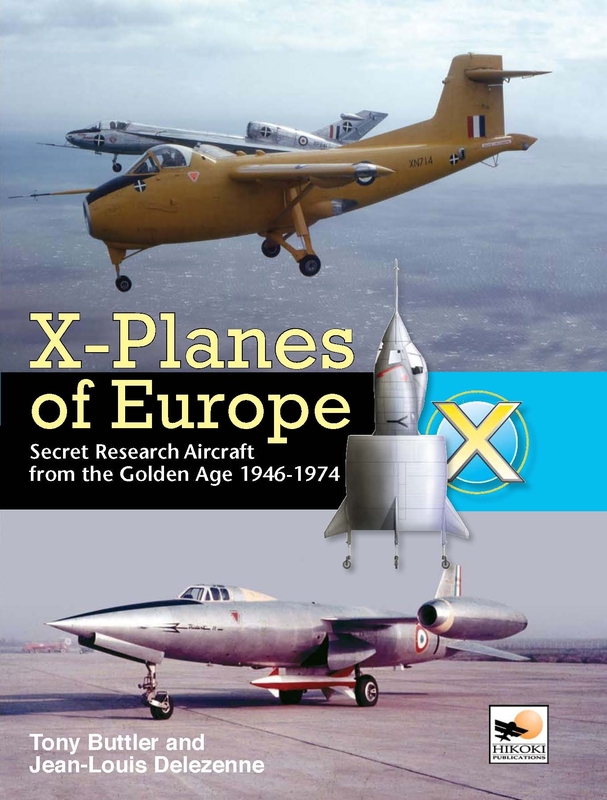 Although much has been written about the legendary American ‘X-planes’ of this era, far less is known about many of the secret and exotic research aircraft designed and built in Europe especially those in France. Years ahead of their time, these aircraft were world-class in their own right. In Britain the transonic DH 108 Swallow was pushing towards the sound barrier as early as 1946 and the AW52 ‘all wing’ laminarflow aircraft first flew in 1947. 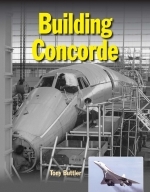 Despite five years of wartime occupation, France flew its own design jet aircraft in 1946, with the N-20 swept flying wing concept being tested by 1951 in Switzerland and the Swedish SAAB 210 delta wing test aircraft first flying in 1952. The Fairey Delta 2 smashed the World Air Speed Record (previously held by a North American F-100C Super Sabre) by an astonishing 37% margin; this aircraft was later pivotal in research for the Concorde supersonic airliner programme. The ungainly Rolls Royce ‘Flying Bedstead’ of 1953 pioneered the Vertical Take Off and Landing (VTOL) concept used today in the new Lockheed Martin F-35 Lightning II Joint Strike Fighter. Now, these once highly-classified aircraft are brought together in detail for the first time by the acknowledged experts in this field. The product of years of patient research, much of the material in this ground-breaking book is being made public for the first time. With many unpublished photographs, previously classified drawings and detailed appendices, the stories of these remarkable aircraft combine to produce an in-depth record that gives these rare and exotic flying machines their proper place in aviation and military history.